After a 3-0 win against Iceland where El Tri displayed their skill, but were often times tactically overwhelmed when they were attacked toward toward the center of the pitch, El Tri‘s focus moves to its friendly match at AT&T Stadium in Arlington, Texas on Tuesday. 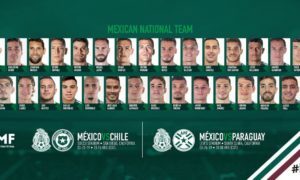 But even before El Tri took the pitch against Iceland, Juan Carlos Osorio and his staff that was on hand for the match (his usual assistants were outside of North America scouting Sweden, Germany, and South Korea in their friendly action) would have gathered most of the notes they needed for the match against the Vetrani. First, Croatia manager Zlatko Dalic told reporters that a number of his major star players would return to their clubs after the Peru friendly. These players would turn out to be midfielders Luka Modric (Real Madrid) and Ivan Perisic (Internazionale), forwards Mario Mandzukic (Juventus). Marcelo Brozovic (Internazionale) and Nikola Kalinic (AC Milan), and starting goalkeeper Danijal Subasic (AS Monaco). While many fans were not amused by not being able to have a proper test match against a number of Croatia’s biggest stars, the Vetrani still are expected to field a side that was much stronger than the one that defeated Mexico 2-1 in a friendly match played merely ten months ago. These players include strikers Ante Rebic, Duje Ćop and Andrej Kramaric, midfielders Ivan Rakitic, Marko Rog, Matteo Kovačić, and defenders Tin Jedvaj and Srne Vrsaljko are still intelligent, skilled footballers who can both move defenders out of position and exploit the space, trouble fullbacks on the flanks, and diffuse attacking chances while springing their own on controlled transitions. They can attack, press, trap and defend as a group are good enough in the air and on set pieces to trouble most teams. At least their pedigree makes it seem that way. But against Las Blanquirojas of Peru in Miami Gardens on Friday, the Vetrani showed why they have struggled themselves to make it to the later stages of major tournaments–they lacked the awareness to react to potential threats and attack with that same guile and individualism when they look to be in odd man situations. Besides lapses in set piece defending, Croatia were vulnerable to be broken vertically or with long diagonal passes–a hallmark of how El Tri enjoyed attacking their opposition. However, continuing that approach might not end up being in Juan Carlos Osorio’s plans. In his pre-match press conference, Osorio hinted that he might field a younger, less experienced side against the Vetrani, potentially denying a tie-breaking 144th cap to captain Andrés Guardado or a century appearance for Javier Hernandez. Hernandez, who did not play against Iceland, could still make an appearance. As could Guardado or even Miguel Layun (with his change of pace passing, finishing, and initiative), perhaps El Tri‘s Chief field player protagonist after Jose de Jesus Corona. 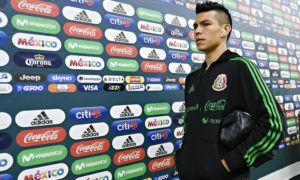 But even they might not be the central protagonists for El Tri–they might be central midfielder Jonathan Gonzalez and lateral Edson Alvarez, was who will be thrown into a simulated fire with having to press against the Croatia buildup. But both midfielders are types who enjoy endless pressing, tackling, and transitional play. 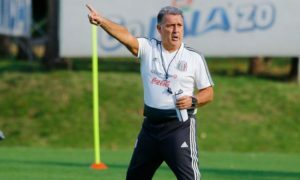 The collective duties El Tri have to work on overall, including reacting when opposing players dismark past their pressure and open up spaces in central attacking zones and at the same time baiting opponents into situations that are advantageous for El Tri, are things that all the players Osorio takes to Russia will have to be able to do in some way, shape, or fashion in a group where the chances to crash out of the World Cup in the group stage seem especially high. 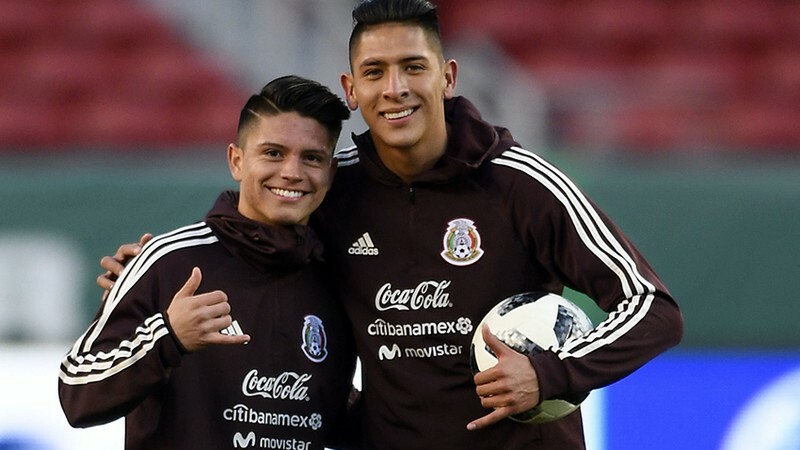 Mexico Player to Watch – Jonathan Gonzalez: The Monterrey central midfielder is the youngest player in the selection Juan Carlos Osorio brought to the United States. He enjoys pressing and tackles the ball remarkably well. He functions well as a destroyer who can dribble but has run into difficulties when he’s been asked to pass his way out of pressure and change the tempo of play in doing so. His relentlessness as a destroyer could be an asset when El Tri don’t have the ball, but Croatia could adjust their approach to force the California native to assess his options and use his teammates to evade a trap, baiting Gonzalez into chance-creating turnovers. The Real Madrid central midfielder is thought by both club and country as a potential long-term successor to Luka Modric. The fact both midfielders enjoy operating in similar areas of the pitch makes that comparison appear reasonable. But he aids less in recovery of the ball than does Modric and exchanges it for a relentlessness to make things happen with and without the ball in advanced areas of the pitch. He can be particularly ruthless on the wing should an in-match vulnerability with El Tri appears in those wide positions.